Maysand has restored plenty of ecclesiastical buildings over the years, but in the case of Liverpool’s Welsh Presbyterian Church the contract was less cosmetic surgery, more life saving operation. Designed by George Ashdown Audsley and built between 1865 and 1867, the grade II listed building, known locally as Toxteth Cathedral and is thought to boast the second highest spire in Liverpool. 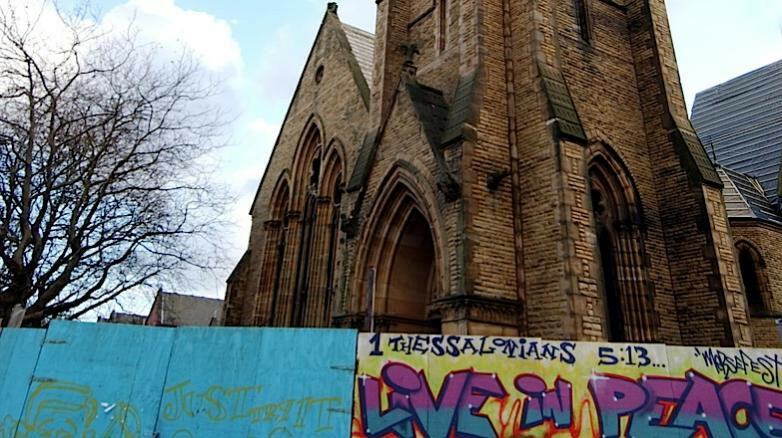 It had to be stabilised after a Dangerous Building Notice was served on the church’s current owners, a Nigerian-based religious organisation. It was already derelict but had more recently lost a large section of the roof to high winds and what remained was in imminent danger of collapse. The Maysand team removed the remaining slates to be stored safely before covering the roof in plywood and visqueen to protect the interior from the elements. That done, new galvanised steel sections were bolted to the existing timbers to support the roof structure.